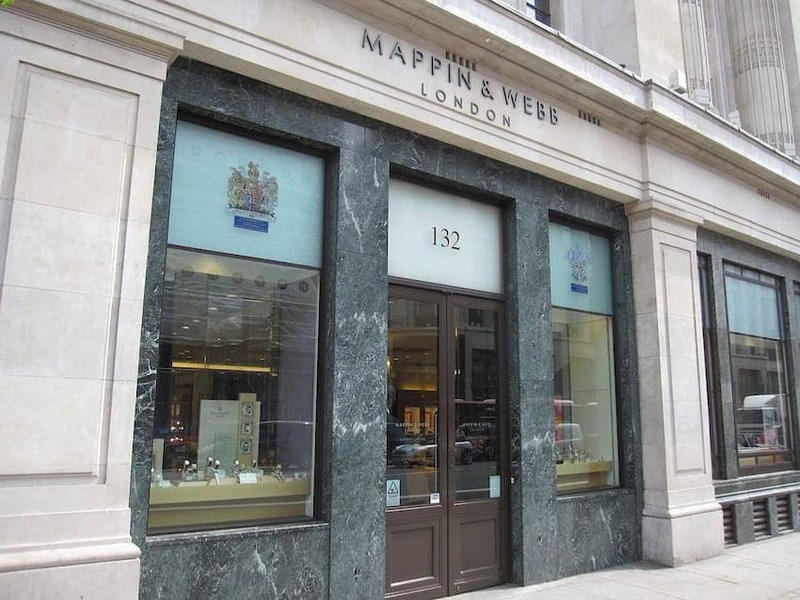 Mappin & Webb was founded in 1775 when Jonathan Mappin opened a silver workshop in Sheffield. Mappin & Webb has created jewels for royalty including the Empress of Russia and Princess Grace of Monaco. Queen Victoria was the first Monarch to commission M & W for a Golden Jubilee necklace in 1888 and it now holds two Royal Warrants. The first store opened in 1860 in London and now has branches worldwide. It continues to produce classic silverware, fine jewellery collections and is a retailer of luxury timepieces. The company's master craftsman prepares the crown jewels for state occasions.